Tune in to join us in welcoming back authors Lynn Emslie and Harsha Sheelam to the Reading with Your Kids podcast! The stories are about Poppydown’s 8-year-old children, Pratt, Lili, Maitri, and Kush. The book traces the life of Poppydown’s pals and provides contemporary morals for children. These morals will help children grow to their best potentials. Poppydown is a small town near Apple Coast Castle. It is well-furnished with houses, park, school, playground, market, and town hall. Pratt, who is a resident of the town, is the main protagonist in the book. He is chubby, kind, and honest, but he makes mistakes like all children do. Positively, he never fails to learn lessons from his blunders. Pratt learns to be body positive, work hard, staying away from stealth and greed, essence of festivals, loving others who are different from us, understanding that appearances are deceptive, loving and respecting elders, protecting those who can’t protect themselves, appreciating hard work over beauty, and understanding that useful things are of more importance than ornamental. His friends and family play a major role in empowering and motivating Pratt. ‘Poppydown Pals’ captures ten different stories from the life of four friends. Full of freshness, humor, and insight; Poppydown’s tales endorse hard work, honesty, and perseverance. The book equips children for a better future. The instructive and inspiring fables from Poppydown’s children’s lives are full of richness which will help children to develop character and have a fun reading time. 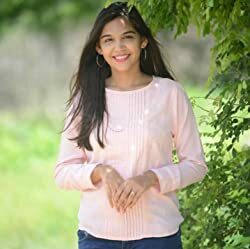 Click the Amazon link below to instill age-old and contemporary morals in children in a delightful form! The writing of Jasper and Milo’s New Home came as a complete surprise both to myself and all who know me. It was not planned or intended. I always thought I would, one day, write something but, when we adopted two older dogs, in an emergency situation, one weekend, I had a reason to set words on paper to tell the story I did not know. It was a way of me trying to accept the dogs and an attempt to understand their lives to-date and the issues they had potentially faced. Many people have questioned how I moved from a style of writing that demands succinct and accurate use of language into a simple story for children. Well actually, the skills needed are transferable; in-order to convey a story in a few simple words, so that not only the young reader can understand and create their own imaginative mental images, but the illustrator has to be able to interpret it too! Luckily, so far this has not been an issue for me. Jasper and Milo have now established themselves as characters. Jasper and Milo’s New Home has reached many people and touched them in different ways. 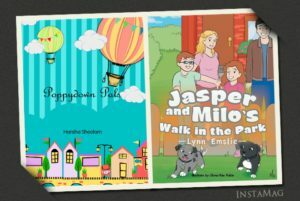 The second book, of what I hope will be a series, Jasper and Milo’s Walk in the Park was published in November 2017 and is widely available. Jasper and Milo are puppies who are settling into life with their new family. Daily, they experience new adventures. Until one day, it is time for Jasper and Milo’s Walk in the Park. 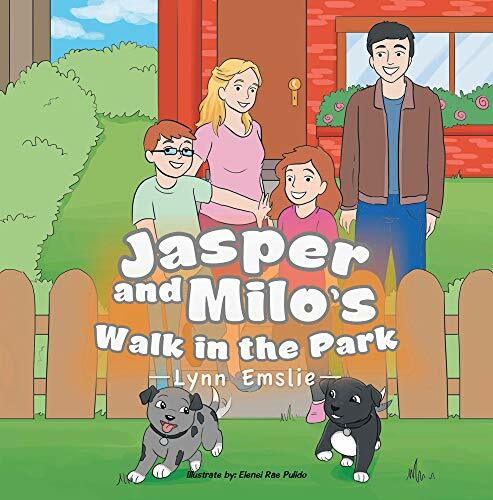 Jasper and Milo’s Walk in the Park is Lynn’s second book in the Jasper and Milo series. Originally from Lancashire, Lynn now lives in Somerset, England, with her husband and dogs. 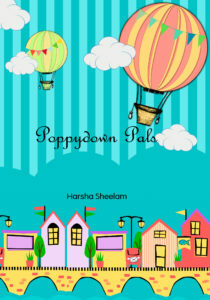 How did Harsha get the idea to write her latest book “Poppydown Pals” and the inspiration behind the story? Harsha shares some great insights on what kind of role does a book play in shaping up a child’s future? A big thank you to Lynn Emslie & Harsha Sheelam for joining us and for sharing their wonderful books with us! So, there you have it. 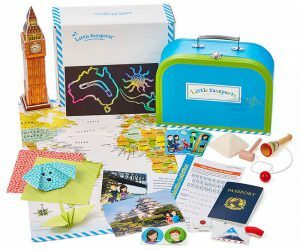 We’re sure you’ve enjoyed learning about Lil Lukie as much as we did! If you’ve enjoyed this episode then please rate and review our show on iTunes and share it by clicking the social media buttons at the bottom of this page! PreviouslyHanukkah Special Episode: Meet the “Queen of the Hanukkah Dosas”! !